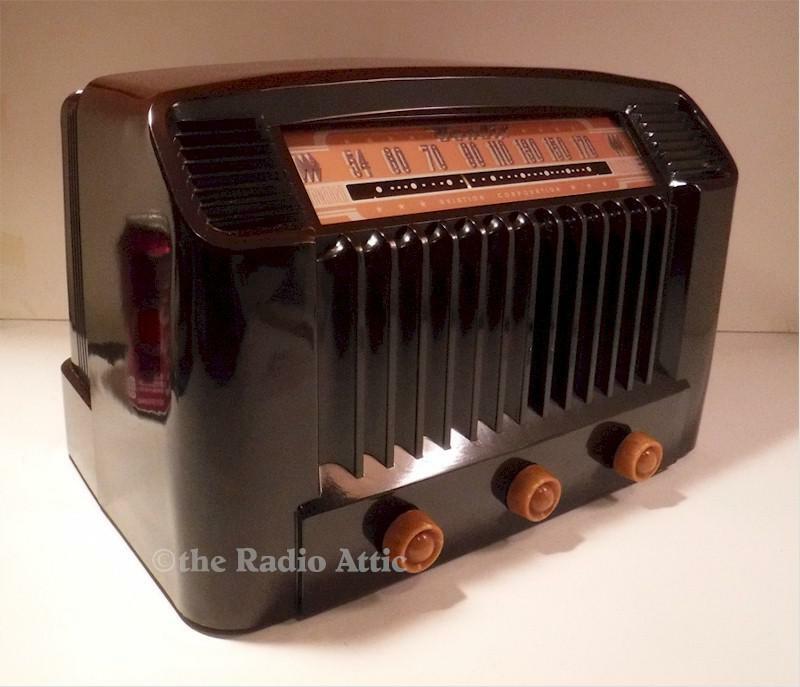 A spectacular radio. The dial is gorgeous and nicely lighted. It has a phono plug and a hi-lo tone control. It looks like Dad just got it at Woolworth's on his way home from his Wall Street office in 1949. The beautiful case surrounds the entire radio. They don't get any nicer than this. And, this model is very difficult to find in pristine condition. The six-tube circuit and internal antenna bring in those distant stations very well. This is a heavy radio. The case has been hand polished with high quality polishes. Fully restored for safe, reliable use. All paper capacitors and electrolytic capacitors have been replaced with high quality modern replacements. Tubes are replaced as needed as well as any other defective parts. Please review my testimonials page to get an idea of the quality restorations I do. 13"W x 9-1/2"H x 8-1/2"D.
You are visitor number 2,246 to this page.